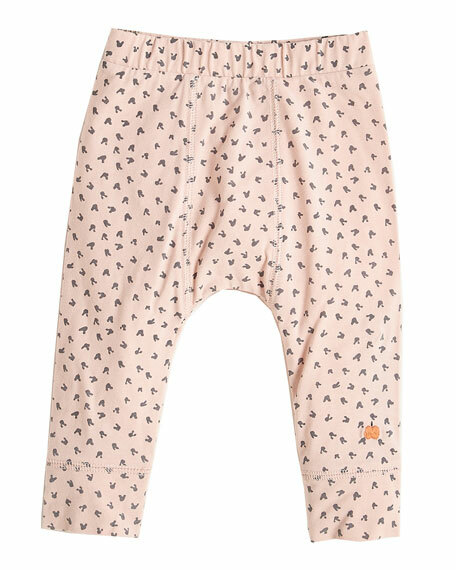 bonniemob leggings in allover bunny print. For in-store inquiries, use sku #2325226. 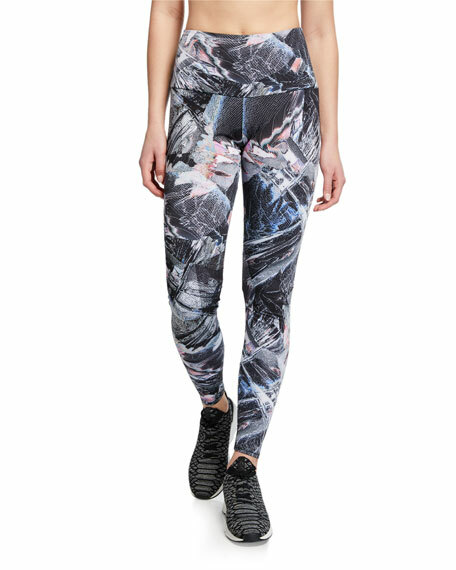 Koral Activewear "Lustrous" leggings in sleek camo-print Infinity Sport fabric. High-rise waistband. Second-skin fit. Ankle length. Pull-on style. Nylon/Xtra Life Lycra spandex. Made in USA of imported material. 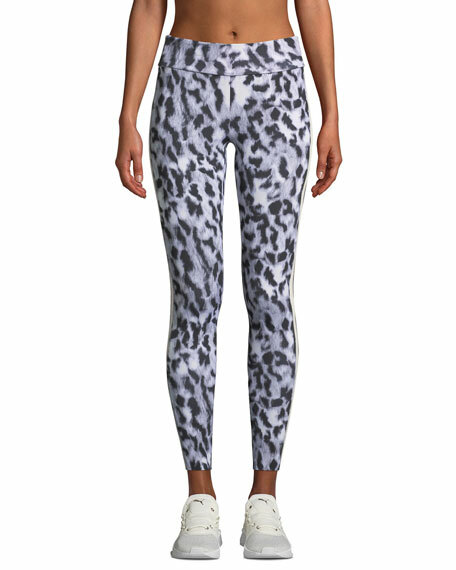 Norma Kamali leopard-print leggings with contrast side stripes. High-rise waistband. Second-skin fit. Ankle length. Pull-on style. Polyester/spandex. Imported. Off-White leggings in stretch jersey with "legging" typography. Mid rise; logo-printed waistband. Flat front. Formfitting. Ankle length. Pull on style. Viscose/nylon/spandex. Made in Italy.